Release Coatings of NY has the flex and rigid mandrel as well as mold releases that you have been looking for. Rely on us to help you improve your processes. A waterborne synthetic wax dispersion designed for EPDM or nylon mandrel. Developed specifically for new mandrel processes, this product acts as a sealer for flexible rubber mandrels and helps reduce the porosity on the mandrel surface. 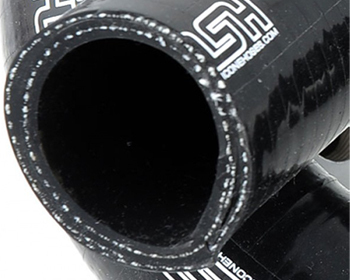 A unique waterborne acrylic emulsion that provides excellent release for EPDM mandrels with neoprene tubing. This is the best product and latest technology for this application. It has excellent release with CR, EPDM, CSM, and SBR. This water-based TFE emulsion was developed as a mandrel sealer and release agent for flexible nylon and rubber mandrels. A water-based dispersion with excellent anti-stick and lubricity properties. It was developed as a sealer for new mandrels. This water-based, non-silicone flexible mandrel release is for rubber and nylon mandrels. A water-based PTFE resin emulsion used as a mandrel sealer for flexible nylon and rubber mandrels. This product can be used on rigid aluminum and steel straight mandrels. This product was engineered for nylon (polyamide) flexible mandrels. It performs well with NBR, Hypalon® (CSM), EPDM, CR, CPE (CM), and SBR. A medium-viscosity concentrated release that can be diluted. It has attractive releasing properties for rubber to rubber and rubber to metal with EPDM, IIR, and CR. The product has a medium viscosity, concentrated release, and can be diluted. It has superb releasing properties for rubber to rubber and rubber to metal with EPDM, IIR, and CR. This is a non-silicone, resinous fluorochemical formulation used for injection and compression molding. A unique, water-based, polymeric, cross-linking emulsion that Release Coatings of NY originally developed as a flexible rubber and nylon mandrel release coating. An exceptional product for releasing long-length hose from rigid mandrels. It is higher in solids, which allows excellent release with EPDM, CSM, and SBR on larger ID mandrels. This product is for food-grade use and was developed specifically for rigid mandrel processes. It is a unique dispersion of finely micronized polyethylene and PTFE waxes. TM-523FG was specifically developed for hose manufacturers that produce dairy, wine, and water hose. A general-purpose non-ionic emulsion developed for hoses built on rigid mandrels. 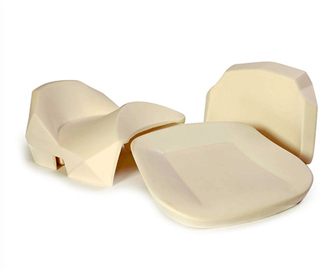 A potassium soap-based release for urethane foam and molded parts. It reduces mold fouling. An outstanding urethane release for air-cure foam, either rigid or flexible. It works best if molding temperatures are between 30 and 40 C. It also performs well with air-cure cast urethane. This product was designed for gum-rubber molding. It has the advantage of faster curing with molding temperatures of 90 to 120 C.
A fluoropolymer product with excellent release for the air-cure process of cast urethane. It is also used for air cure foam, both rigid and flexible, because of its durability. This product provides outstanding semi-permanent release for silicone rubber (MQ). A non-silicone release, use-as-is product. This product has desirable properties for rubber to metal bonding with EPDM, IIR, HNBR, and ECO. It has excellent semi-permanent characteristics. This product is an invaluable release for the harder to release peroxide-cure rubbers such as EPDM, HNBR, and ECO. It is also used on ECO, NBR, FKM, SBR, NR, CPE, and polyurethane foam. A water-based resin product that is used as-is. 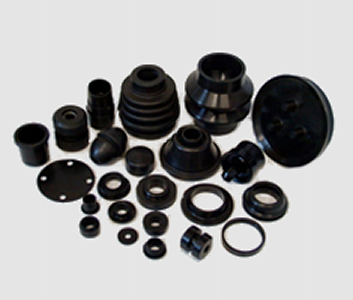 It offers excellent release properties for rubber to rubber and rubber to metal with EPDM, IIR, MQ NBR, and CR. This is a non-silicone release product that is used as-is. It has premium release properties for rubber to rubber and rubber to metal with EPDM, IIR, MQ, and CR. A general-purpose, non-ionic aqueous emulsion, which is 60% active. It was developed as a mold release agent in the rubber and plastic industries.